Donald Trump and right-wing populist movements around the world are the logical result of a creeping, corporate coup d’état that has taken over established political parties, both “liberal” and “conservative”. This film tells the story of how the coup happened and shows its disastrous effects on society’s most vulnerable citizens. 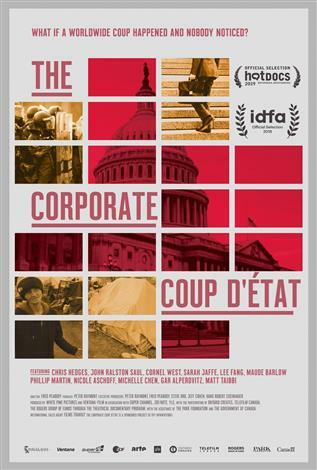 The corporate coup d’état has been devastating for people in “sacrifice zones” like the U.S. Rust Belt and Camden, New Jersey, where the film captures heart-breaking stories of citizens suffering from the effects of corporatist, globalist, and neo-liberal ideologies and policies.